Today I am handing the blog over to my blog-friend-turned-REAL-LIFE-friend-Shelly. Over the last 10 years, Shelly and I have had extensive conversations over email and in person and met up at conferences all over the country, where we shared our mutual love for writing, cooking, parenting, and Jesus. So, let me tell you, I was not the least bit surprised when Shelly said she got a writing contract for a book. She is a talented writer and passionate mother, and, well, all I can say is it’s about time she wrote a book about parenting! 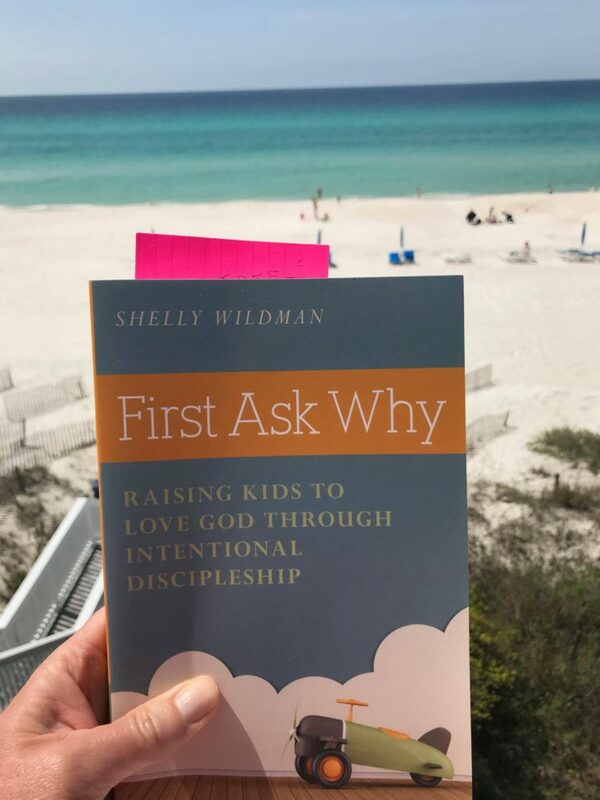 First Ask Why: Raising Kids to Love God Through Intentional Discipleship, which releases April 24th, is for all parents or grandparents, but especially those with kids in the 2-12 age range. I read the book from cover to cover last week (on the beach, I might add!) and I would recommend it to anyone who wants to disciple their kids with greater intentionality. Scroll to the end for the link to pre-order! Here’s what you need to know about Shelly and her book. Shelly Wildman is a former writing instructor and holds degrees from Wheaton College (BA) and University of Illinois at Chicago (MA), but her most important life’s work has been raising her three adult daughters. She and her husband, Brian have been married for 32 years and live in Wheaton, IL. Shelly speaks to women’s groups in the Chicago area and spends much of her free time mentoring young women. When she has time, she loves to cook, read, and travel. 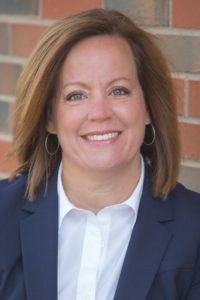 Connect with Shelly at her website or on Instagram and Facebook. Q: Writing about parenting can be a powder keg—people have pretty strong opinions about raising kids. Why did you choose to write a parenting book? Shelly: I kind of feel like I didn’t choose to write a parenting book, but that the book chose me. (Sounds like a scene from Harry Potter, doesn’t it?) I fought writing it for a long time because I knew I wasn’t a perfect parent—I had messed up so many times that I didn’t feel qualified to write this book. I still don’t. But the idea kept nagging at me for so long that I finally felt like God might have been pushing me to do it. I believe with all my heart that stronger families will make for a stronger society, which is so important today. And I believe that the strongest families are those that have Christ at their center. But so many parents today have lost their focus or their sense of purpose. They spend their time on meaningless, temporal things, when, really, the most important mission field is right in front of them. I’m hoping to encourage parents to look at the bigger picture, to ask why they are doing what they’re doing, and to think critically about God’s purpose for their kids and for their families. I have three adult daughters now, and my hope is, now that my husband and I have raised them, that they will go out into the world and make a difference. And should they have children someday, that they would also make disciples of their kids. Instilling a Christ-following legacy is important work—I believe it’s THE most important work parents can do—and we’ve got to be intentional about it. Q: What makes your book different from other parenting books? Shelly: So many parenting books are “how-to” books. They seem to say, “Just follow these ten steps and here’s what you’ll get in the end.” But I don’t believe we can parent by formula. I think we have to look at our unique family and ask why. Why are we doing what we’re doing as a family? Why are we emphasizing these spiritual values? And are there others we should consider? Why are we even here as a family? What’s our purpose for being put together in this unique combination of individuals? Asking why gets to the heart of the matter; it exposes our motivations and desires for our family. Asking why leads to intentionality. And asking why helps give our children a sense of purpose as we lead them. Shelly: This is such a difficult question for me to answer because I honestly don’t know why. I know that parents can do all the right things—have time in God’s word together every day, take their kids to church regularly, pray diligently for their kids—and still have kids who struggle. I don’t believe there are any guarantees in Scripture that our kids will choose to follow Jesus into adulthood. But I do believe that Scripture commands us to parent with the end goal in mind: having children who know and love the Lord. We are to be diligent in our calling to present our children to God, and we have to trust Him with the outcome. We have to persevere every day to show our kids that following Jesus is the path to true life, even though some days can be downright hard. Deuteronomy 30:15-20 has been such a guide and encouragement to me as a parent, especially where it says, “I have set before you life and death, blessing and curse. Therefore, choose life that you and your offspring may live.” We have a choice every day, and it’s our job to show our kids that choosing Christ is the only way to a fulfilling life. Q: Who do you hope will read this book and what do you hope they will gain? Shelly: I hope parents with kids of all ages will read this book, but especially parents of younger children. I hope grandparents will read this book. And I hope it sparks lots of discussion between husbands and wives, moms groups, or even small groups in churches. My hope is that parents will come away from reading this book with a stronger sense of their purpose as parents and that they might gain a couple of new ideas that they can implement in their own family. I also hope people will read the last chapter very carefully and prayerfully. The last chapter of the book is on letting go, and it’s a concept that I think is becoming lost a little bit today. It’s so hard, but it’s so important, even when your children are young, to start thinking about letting go. We’ve got to be parents who demonstrate faith in God’s sovereign work in the lives of our children. Sounds like a very useful tool for raising children in this crazy world today. Thank you for sharing.